The Great Outdoors, is a full service landscape contractor dedicated to providing premier workmanship, quality plants, and outstanding customer service. We strive to utilize native plants that are well adaped to our climate which also supports our local ecosystem. Locally owned and operated, Champ Lawson Landscaping was established in 2004. Champ Lawson has over 16 years of experience in the landscaping industry. Champ Lawson is fully licensed and insured with a Class A Contractor license issued by the Commonwealth of Virginia State Board of Contractors. We are ICPI certified installers and Techniseal applicators. We are also certified in pesticide application. Champ Lawson Landscaping is a member of the Better Business Bureau, the Virginia Turf Council, and ICPI. Our mission is to provide the highest quality lawn care and landscaping service possible. 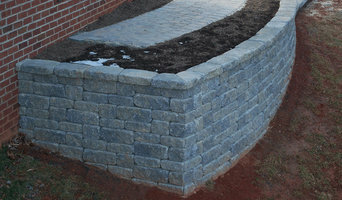 We are continuously expanding our landscaping knowledge and skills. Our employees are well trained, highly qualified, and dedicated to providing exceptional service. We have experience working with both residential and commercial properties as well as Home Owners Associations. J.W. Townsend, Inc. began in 1983 specializing in garden installation with a specific focus on site analysis, bed preparation and plant installation. Today, as professional horticulturalists, while we continue to install landscapes and provide fine gardening services, we also install meadows (of all types), maintain beautiful commercial landscapes, mow and manage turf grass with exceptional care. In addition, we plant and maintain unique container gardens under the Hotpot brands; through Hotpots, we also provide beautiful rental plants-trees-gardens-pots for any event. In 2014, J. W. Townsend, Inc. will celebrate 31 years of planting and maintaining beautiful gardens across Virginia! With a personal touch and a commitment to complete customer satisfaction, we continue to make people smile about their landscapes. Our original Mission Statement still says it best: ?Our goal, each and every day, is to satisfy our customers so completely with the quality of our work, our commitment to service, and our professionalism, that they will deliberately seek us out again?. Happy Gardening!! For more info on gardening, please email jwt@townsendlandscape.com. Acclaim Services is owned and operated by Mark and Teresa Harris. Both were born and raised in Albemarle County. Mark started his career in plant management in 1978 when he worked for Spangler Farm Supply in Scottsville, Va. There he learned the basics of fertilizers, pesticides and herbicides and how to apply them. Later, in 1981, Mark became the sales and service manager for Lawn Doctor of Chesterfield, serving the lawncare needs of over 500 customers in Richmond, Virginia. He was trained and certified in many aspects of lawn care at the Lawn Doctor training Institute. From 1983 through 1990 he worked for Dodson Pest Control where he trained and certified in the identification and erradication of many insect and fungal problems. From 1990 through 1999 Mark worked for Duncan Irrigation and Blue Ridge Irrigation Service Company as an irrigation service technician. While at these companies Mark was trained and certified in irrigation design, installation and service. In 1999 Mark and Teresa started ACCLAIM SERVICES at the request of several of their friends and customers that needed a good, reliable, full service landscaping service. Mark has been trained and certified in irrigation and water management by the Toro, Rianbird, Irritrol and Weathermatic companies. He is trained and certified by the Commonwealth of Vrginia in backflow or cross connection device testing, certification & installation. He has studied landscaping through the Lawn Doctor Training Institute, Virginia Tech, Albemarle, Fluvanna & Chesterfield Counties' extension services and the Virginia Landscape and Irrigation Association. In 2009 and again in 2010, the U.S. Chamber of Commerce recognized Fine Earth, LLC as one of the 75 top small businesses in America, and Fine Earth was named the Chamber's inaugural recipient of the national Community Excellence Award. Our staff of designers, installers, and business professionals achieved this recognition the hard way..they earned it. With over 150 years of combined experience, this group has established a reputation for excellence that is second to none. Do you wish you had the type of lawn that was so lush and green you could barely risk digging your bare toes in it? If you long for a gorgeous lawn but even your most dedicated weekend warrior efforts can't make it happen for you, call us. What started as a one-man operation has grown to include 3 licensed and insured crews ready to handle all of your lawn care needs from mowing and trimming to watering, pruning, and keeping leaves at bay. You put a tremendous amount of thought and planning into the way your home or business looks inside. Show the same thought, care, and attention to the outdoor surroundings with custom landscaping. 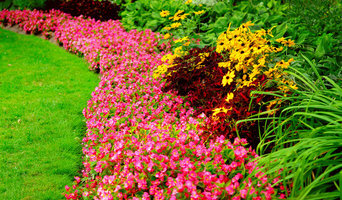 Your landscaping shows off your personality and tastes, and leaves a lasting impression on all who visit. Look to our licensed and insured team to install, maintain, and even repair your lawn for year-round beauty. Dos Amigos Landscaping and Grounds Management has been providing quality lawn care services and landscape management to residential and commercial clients since 2002. Our team approach coupled with outstanding customer service has made us the choice of discriminating clients throughout Charlottesville, Albemarle and the surrounding counties. Our clients tell us they love the fact that Dos Amigos takes care of every facet of their lawn care. When you choose Dos Amigos to design, install, and maintain your home and landscaping, you can be sure that the materials used are top quality and that our company has a reputation for quality. At the Urban Garden Workshop, we love making raised beds. They are easy to construct, made from all-heart Redwood, and will last for years. We also love chicken coops. Also made from reclaimed Redwood, our coops are easy to assemble, and you chickens will love their new digs! 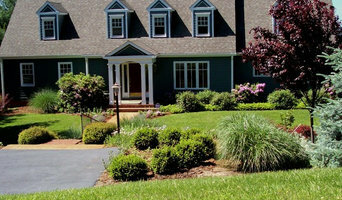 Since 1989, Windridge Landscaping has been enhancing the landscapes and hardscapes of homes and businesses throughout the Charlottesville area. From sustainable low maintenance gardens, water features & ponds to long lasting patios, driveways & outdoor kitchens, Windridge will design and install your outdoor living project. Twenty five years of experience in the landscape industry gives us the knowledge and resources to realize your outdoor dreams while also increasing the value of your property. We proudly serve Charlottesville, Albemarle, and the surrounding counties of Nelson, Fluvanna, Louisa & Augusta. On behalf of the entire staff at Windridge, let us help make your outdoor dreams a reality! J&D Landscape Maintenance Services Inc. In 1997 Jose Munoz moved to the Shenandoah Valley with a dream of being a successful landscaper. In order to support himself, he worked full time during the day and pursued his passion after work and on the weekends. Jose and his friend David decided to begin a partnership in 1999 which became J & D Landscape. Their business grew rapidly. In 2000 David decided to pursue other interests. At that time Jose left his full time job to focus solely on the landscape business and growing his company. Becoming a corporation in 2003, J & D Landscape now employees over 35 people and provides quality service to businesses and individuals all across the Valley. n the Spring of 2007, I felt it was time to turn over a new leaf on my life. I had worked locally in the landscape industry for about 10 years and decided it was time to start my own business. Turn-A-Leaf Lawn and Landscape was born. Just as I was able to turn over a new leaf on life, I was able to turn over a new leaf on someone’s landscape. Here at Turn A Leaf, we dedicate ourselves to honest, hard work and very detailed landscaping. From general maintenance to design and installation projects, we can help with all your needs. Recently, in April 2013, we opened our nursery and garden center, carrying multiple types of shrubs, trees, bulk mulches and soils. We are located in the Shenandoah Valley at the Shenandoah Heritage Market on Route 11 South, in Harrisonburg, VA. Whether we’re on the job or at the nursery, we have experienced staff to answer any questions you may have. Call us today and let us turn over a new leaf on your lawn or landscape! We are Class A licensed and insured to 2,000,000 company. All of our employees are full time and care about our company and you. Let us take the worry out of your hands. 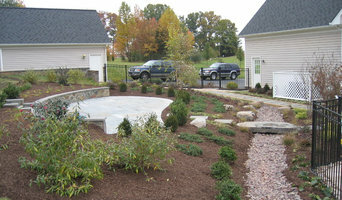 We are a full service landscape contractor with years of experience and references are abundant. Our mission is to provide our customers with high quality service at an affordable price so that our customers can spend more time enjoying what they love most. Creative Concepts is a local family owned business and our goal is to grow our business through positive customer referrals. We take pride in our work and customer service is our number one priority. With years of experience in lawn care and solid roots in this area, you can feel confident that our company is well-versed in all aspects of lawn care and we strive continually to provide you with the best service around the Charlottesville area. We are fully licensed and insured to safeguard our integrity and protect our customers. What can a Free Union, VA landscape contractor or gardener do? Here are some related professionals and vendors to complement the work of landscape contractors & gardeners: Landscape Architects & Landscape Designers, Garden & Landscape Supplies, Stone, Pavers & Concrete, Arborists & Tree Services. Find landscape solutions and Free Union, VA gardening services on Houzz. Scroll through this page to find professionals that offer landscaping and gardening services in your area. You can browse their latest projects, read reviews and see how other homeowners rate their work, and message them directly.